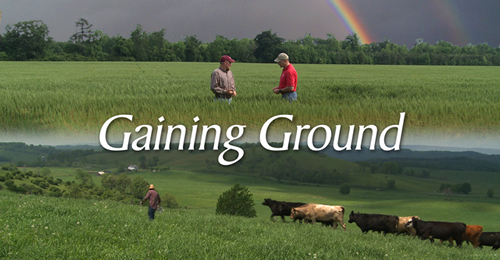 This week we bring you an interesting video from our friend Christophe Lawrence (USDA NRCS) and Gaining Ground, an organization dedicated to improving soils, farming, and water quality in Virginia. I'm not sure if no-till farming is relevant to vineyards, but this video is relevant to anyone concerned about water quality and the over-use of chemical fertilizers. More and more farmers all across Virginia are making the switch to soil building continuous no-till systems. These farmers are cutting costs and saving time by planting all of their crops, year in and year out, without tillage. They are also maximizing the soil benefits that come with less disturbance by adding in cover crops, crop rotation, and other practices. As diverse as they are, one thing these farmers all have in common, they tell us they are gaining ground. Gaining Ground: Successful No-till Farmers Tell Their Stories from The Downstream Project on Vimeo.